World footballer of the year Cristiano Ronaldo is expanding his 'CR7' hotel portfolio by opening new franchises in New York, Madrid and Marrakech, his associate said on Wednesday. Real Madrid star Ronaldo has already opened CR7 hotels, alongside Portuguese hotel group Pestana, in Lisbon and Funchal in his homeland. The first new hotel to open, within "18 months", will be in Marrakech, site of a bizarre story a couple of years ago where Ronaldo was said to regularly visit a Dutch kick-boxing friend. 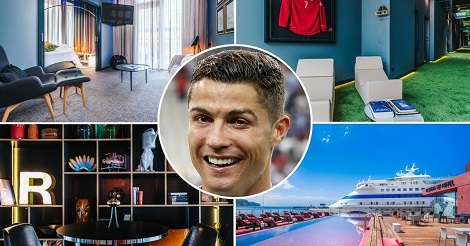 CR7 hotels offer guests the chance to sip a 'Ballon d'Or' cocktail and pose for pictures with a hologram of the Portugal captain. Ronaldo's CR7 marque also includes clothing and footwear lines.